Willie Nile joins for "(What's So Funny 'Bout) Peace, Love And Understanding"
(with Max Weinberg) Second of two holiday shows. 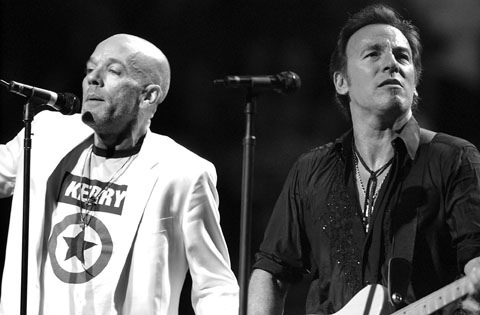 Bruce Springsteen & Friends performing two shows; one at 4:30pm and another at 8:30pm. 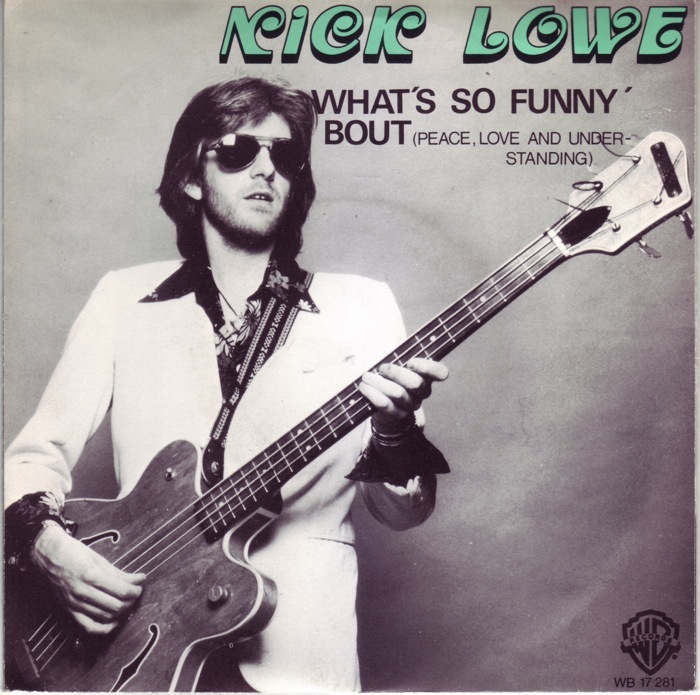 "(What's So Funny 'Bout) Peace, Love, and Understanding" is a 1974 song written by English singer/songwriter Nick Lowe and subsequently covered by Elvis Costello and Curtis Stigers. The song was originally released in 1974 on the album The New Favourites of... Brinsley Schwarz by Lowe's band Brinsley Schwarz and released as a single; this version was included on Lowe's 2002 compilation Anthology (along with the Elvis Costello version), and his 2009 compilation Quiet Please... The New Best of Nick Lowe, as well as 1991's Surrender to the Rhythm: The Best of Brinsley Schwarz, 1996's Naughty Rhythms: The Best of Pub Rock 1970–1976, and 1998's Pub Rock: Paving the Way for Punk. Thus far, Lowe himself has not released a solo studio version of the song, but plays it regularly in concert, and live versions have appeared as B-sides of his 1982 double 45 single "My Heart Hurts", and his 1994 EP True Love Travels on a Gravel Road, on the radio compilations KGSR Broadcasts Vol. 3, Q107's Concerts in the Sky: the Campfire Versions, and Live at the World Cafe 10th Anniversary, some with solo acoustic guitar and some with different full bands. Another live Lowe version appeared on his 2004 live album Untouched Takeaway, and a live Brinsley Schwarz version was included on What IS so Funny About Peace Love and Understanding?, which featured songs played live in BBC sessions. Lowe also produced a cover version of the song as a B-side for the 1991 single "See Saw" by the British band the Katydids, after producing their eponymous debut album. The Elvis Costello & the Attractions version was first issued as the B-side of Lowe's 1978 single "American Squirm" credited to "Nick Lowe and His Sound". 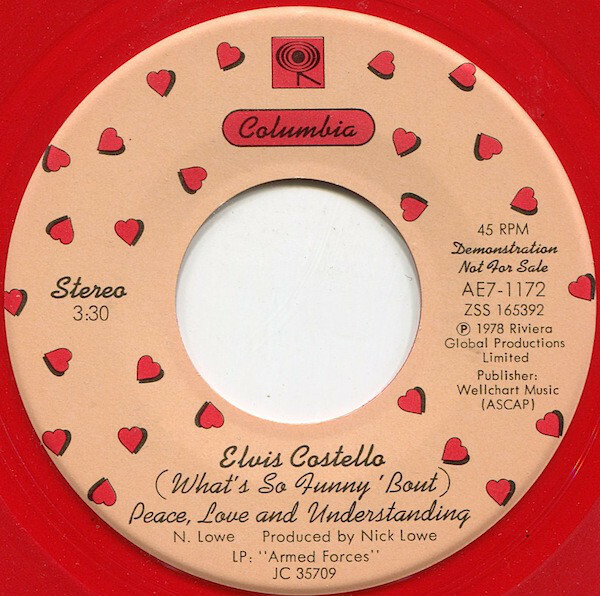 At the time, Lowe was Costello's producer, and he produced this track as well. When the song became a hit, it was quickly appended as the last track to the US edition of Costello's album Armed Forces. It has appeared on most of Costello's "Best of..." compilations over the years, as well as on the soundtrack to the film 200 Cigarettes.